God's Greatest Gift. 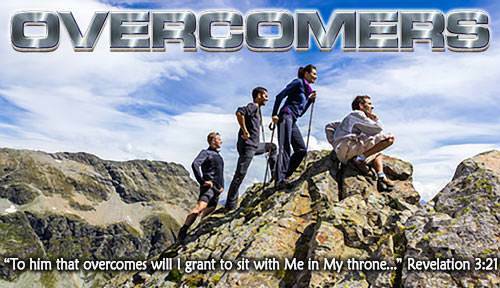 Lesson 7 Questions in "Overcomers"
a) Jesus Christ is God and Jesus Christ is the One who meets all our needs. b) Jesus Christ was the best man who ever lived and He will help us be better people. a) only to very great people. a) "Do the best you can and I will help you." b) "I am the One who will meet all your needs." a) "I am going to do miracles like God." a) by giving me Christ to live in me. b) by giving Christ to help me be a better person. a) turn to Christ; He knows exactly what I should do. b) get advice from other people. a) to be only my patience. b) to be whatever I need. a) Jesus Christ, the Son of God, will be with me if I pray enough. b) Jesus Christ, the Son of God, lives in me now, and He will never leave me. a) I must claim it for myself by making it my own. b) I must try harder to be a better person.